Wilton is a town nestled in the Norwalk River Valley in southwestern Connecticut in the United States. It is located in Fairfield County. As of the 2010 census, the town population was 18,062. Wilton was officially recognized as a parish in 1726. The original 40 families of the parish began their own Congregational church and were allowed by Norwalk to hire a minister (Robert Sturgeon, who also became the town’s first schoolmaster), open schools and build roads. During the Revolutionary War, in 1777 the British used Wilton as an escape route after their successful raid on Danbury. Several homes were burned, but the town remained intact. In 1802, Wilton was granted a Town Charter by the Connecticut General Assembly and became a political entity independent from Norwalk. With a strong anti-slavery sentiment by its residents, Wilton served as a stop on the Underground Railroad. 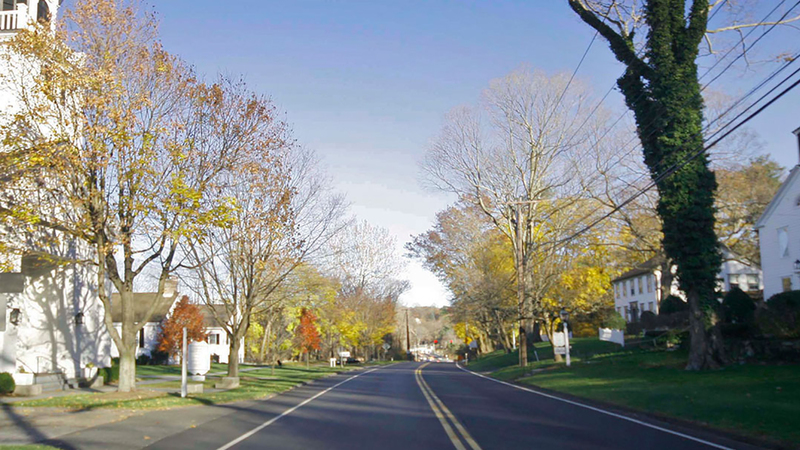 Today, Wilton, like many other Fairfield County towns, is an expensive residential community with open lands (a testament to its colonial farming roots), historic architecture and extensive town services. Residents commonly commute to New York City, Stamford, and Norwalk, although there are a number of office buildings in town. Wilton was rated one of CNN’s top 25 towns to live, boasting an average household income of over $300,000 per family.